Feel safe and secure working out with a qualified in home personal trainer that will show you proper health and fitness form and correct movement patterns, significantly reducing your risk of injury. Having trouble losing weight on your own? qualified and professional in home personal trainers know the most efficient methods for losing weight and KEEPING it off. Stop wasting time, money, and energy. You’ll find yourself laughing as much as you’re sweating. Hiring a personal trainer at home means forming a bond with someone who’s invested in YOU, and will motivate you every day. We’re here to make sure you find the right in home personal trainer. 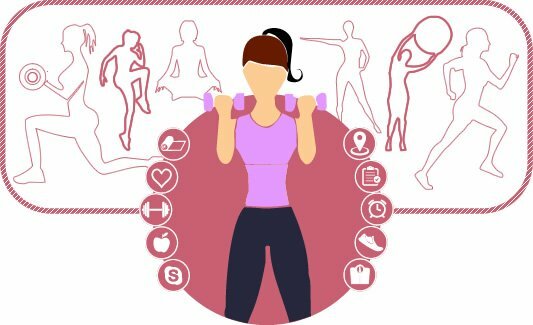 Just tell us your previous fitness experience and we connect you to qualified and professional in home health and fitness trainer available to help. Submit a form on our website or call us to hire a perfect in home personal trainer online that fits your budget & schedule only minutes from your home or work. Our team will contact you and provide you details about the trusted & reliable in home personal trainer for your home, building gym, outdoors, or the gym. 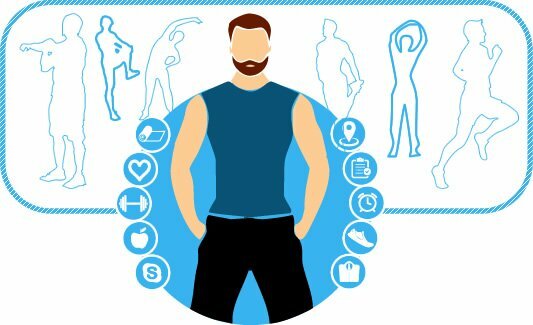 Book & Pay with ease and make sure you find the right in home personal trainer, based on your goals, your personality, your lifestyle and your body. Fitness training over Skype. Access your personal trainer while on-the-go with Skype live video calling on your mobile device. Each Skype live fitness session varies depending on the client and their goals, fitness status etc. 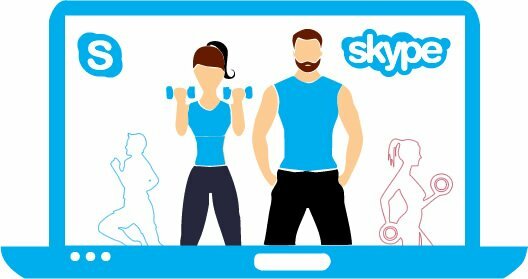 Skype Personal Training sessions give you the same interaction via Skype that you would have personally at the park, gym, or in the comfort of your home. Take charge of your diet and nutrition today. One of the most important decisions you make each day is choosing which foods to eat. 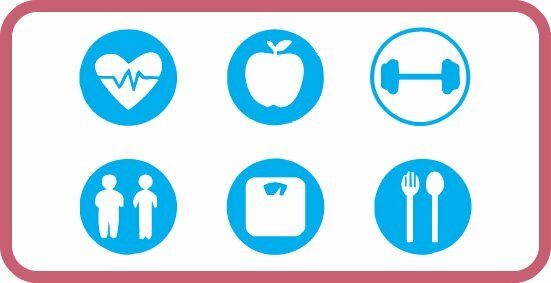 Try our customized weight-loss and weight-gain personalized meal plans according to your daily routine lifestyle, designed by qualified dietitians and food experts to help you lose weight and gain weight. Get physiotherapy treatment at home by experienced physiotherapists. 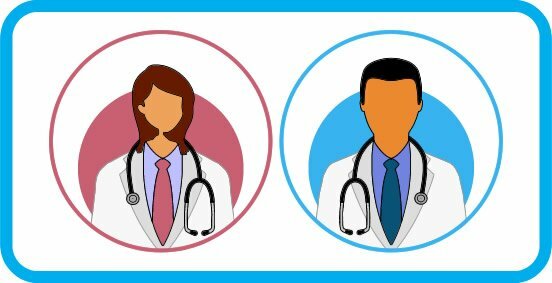 We help patients to regain from back pain, neck pain, knee pain, arthritis, and ligament issues, whether it’s a frozen shoulder, or a sports injury that you’re looking to recover from, you can now get treated in the comfort of your home, by certified, specialized and experienced in home physiotherapists in Karachi. I have tried every diet, never lose the weight more than 3 to 4 kg and always gained it back. One of my friend ask me to contact moveNfit.pk to get my personalized diet meal plan. They’ve designed my diet plan according to my daily routine. 2 and half months later, I lost more than 36 kg weight. The most remarkable part of my story is that I have been able to maintain my weight loss. I started with fitness training 6 months ago. I had hip replacement surgery and I've been an athlete all my life and finally made the decision to work with a personal trainer to really get back in shape and take off some weight to help ease the burden on my arthritic hips & knees. It has turned out to be one of the best decisions I've ever made. So I've found physiotherapist and a personal trainer at MoveNfit, they’ve developed & tailored a special program for me to strengthen the muscles around my joints, which really seems to be working due to the fact I no longer have any pain at all when walking, riding a bike or undergoing any other normal physical activities. I also feel and look a lot better because of the weight that I've dropped so far. Both were very kind & caring, they’ve actually makes the whole training process fun and I look forward to the challenge offers me each session I have with them." I recovered from back pain injury and got my life and my body back – Thanks to MoveNfit physiotherapist helped me a lot. MoveNfit literally transformed my lifestyle in ways I couldn't even imagine. Honestly, the outcomes are wonderful and I have never felt healthier, been stronger or looked better than I do now in my early 40's. This is all because of my hard work, the passion and commitment from the amazing MoveNfit trainer, and the tremendous love and support. My weight started to creep up after landed an office job and I’ve never exercised, and started ordering pizza and fast food for lunch. "I ate whatever was most convenient,". I never thought about diet & nutrition. Amazingly found MoveNfit on the internet and ordered my personalized diet and meal plan, and loss 15kg weight within couple of months. Honestly, If you would like to stay healthy, you must eat healthy. I have never committed to workout and attended gym on a daily basis. That is why I’ve hired in home fitness trainer and MoveNfit female personal trainers are awesome helped me get committed and the results are jaw dropping. Trust me when I say you'll be addicted to MoveNfit one to one personal training.